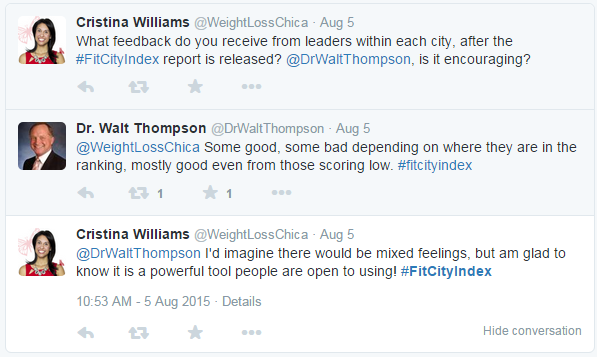 Did you participate in the #FitCityIndex Twitter chat? 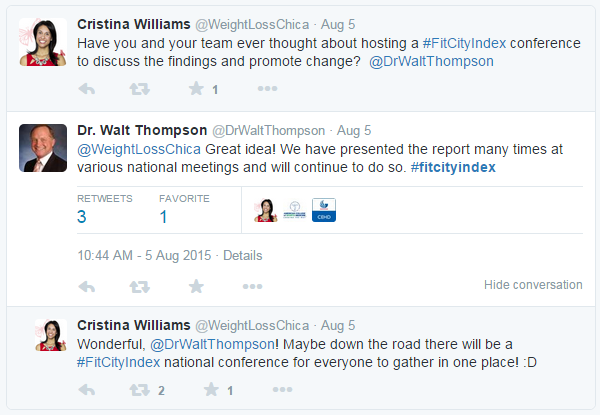 On August 5, 2015, Advisory Board Chair Dr. Walt Thompson hosted the first #FitCityIndex Twitter chat. The conversation consisted of general questions ranging from the development of the Data Report to how to use the Data Report to make changes in the health and fitness of a community. We’ve highlighted a few of our favorite moments below! 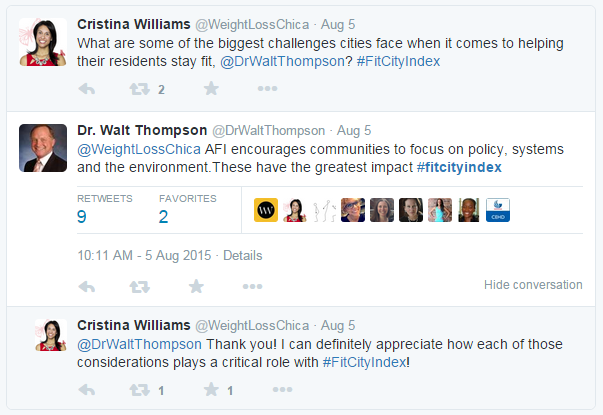 What are some of the biggest challenges cities face when it comes to helping their residents stay fit? 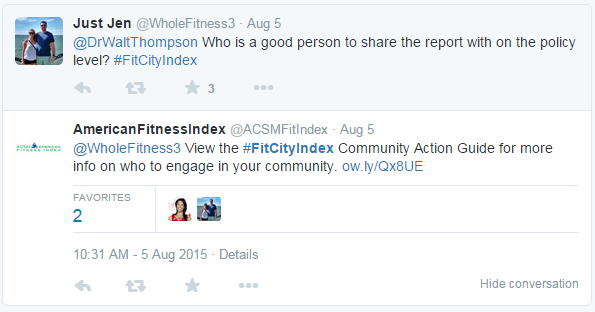 Who is a good person to share the report with on the policy level? 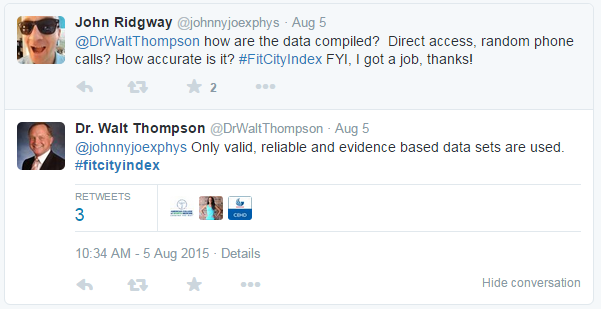 How are the data compiled? Direct access, random phone calls? How accurate is it? Why include only 50 most populous cities in the ? 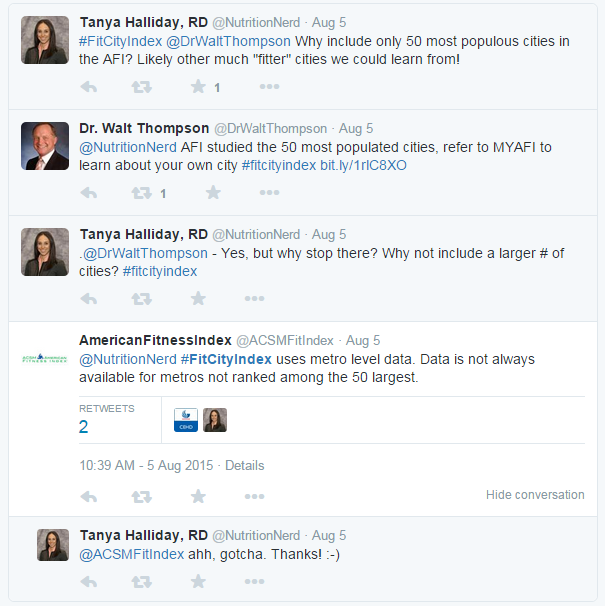 Likely other much “fitter” cities we could learn from! Why not include a larger # of cities? Thanks for giving us a benchmark & areas to focus on for Healthy Families. 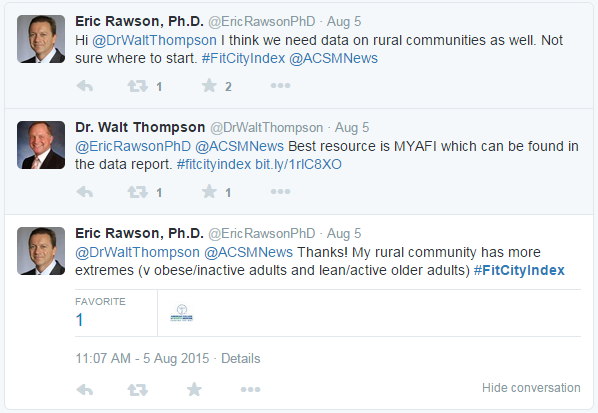 I think we need data on rural communities as well. Not sure where to start.